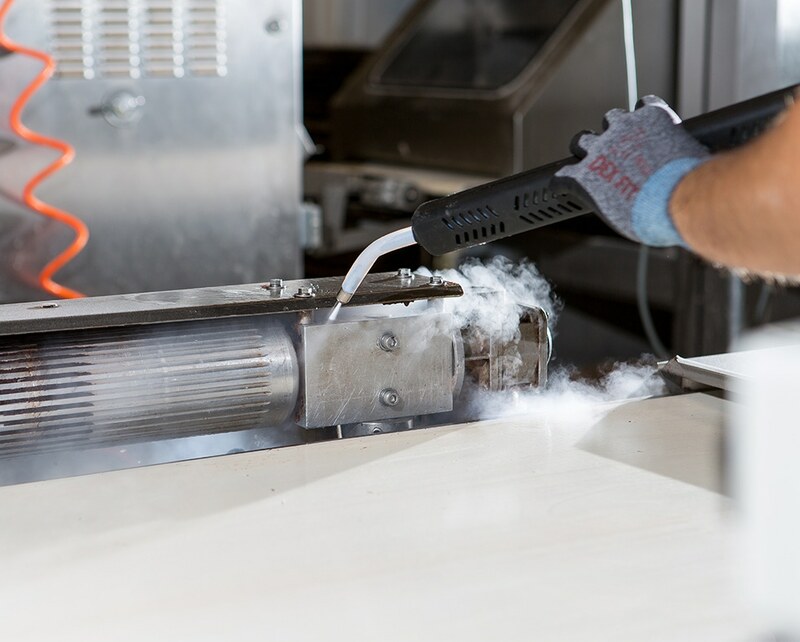 A favorite for cleaning and sanitizing dry cleaning production areas in food and beverage, and manufacturing plants. 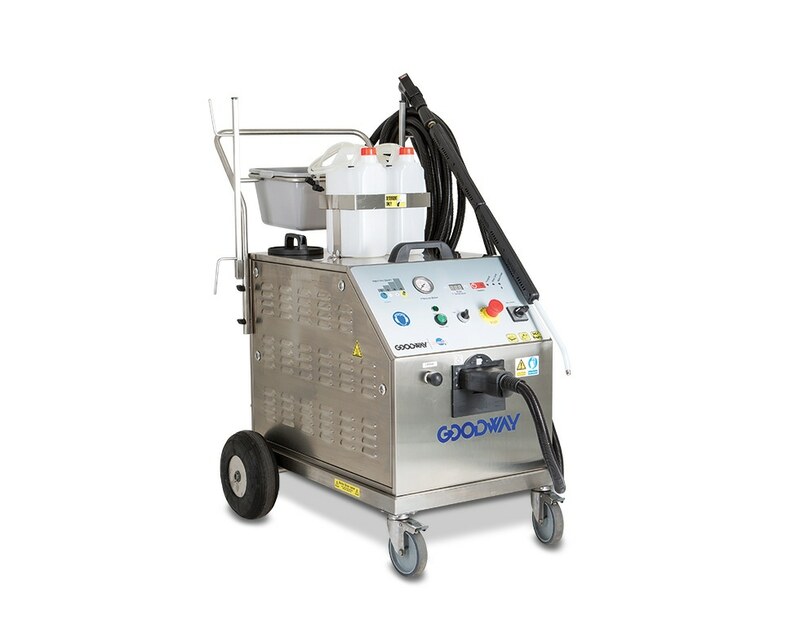 Compact, maneuverable and very powerful, the GVC-18000 is a commercial heavy-duty, industrial three-phase dry steam cleaner. Two stainless steel boilers heat up tap water from a 10.4-gallon tank, producing continuous steam with a variable output pressure of 0-145 PSI and an output temperature of 290 °F. It obliterates oils, dirt, allergens, and bacteria on contact. Twin boilers create steam incredibly quick and give more consistent quality steam and pressure. 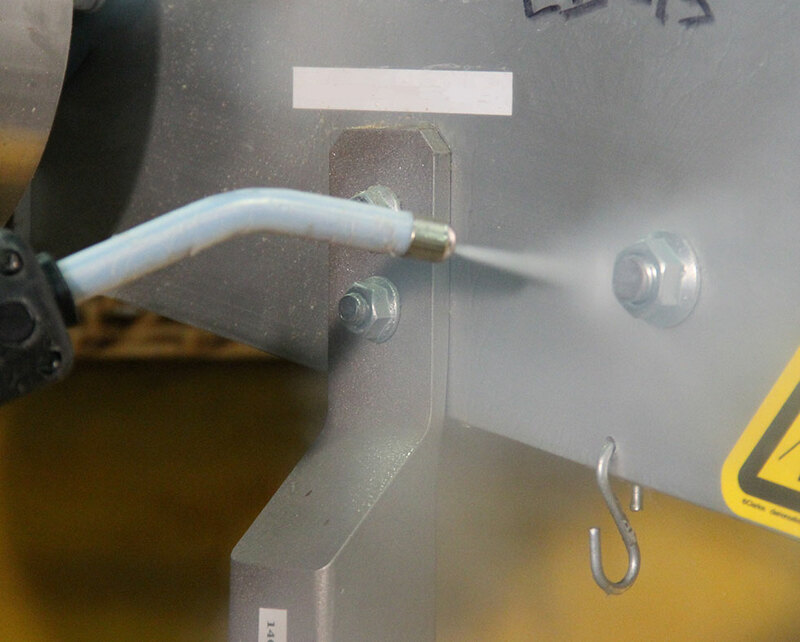 This unit produces a continuous steam at 7-9 gallons per hour. 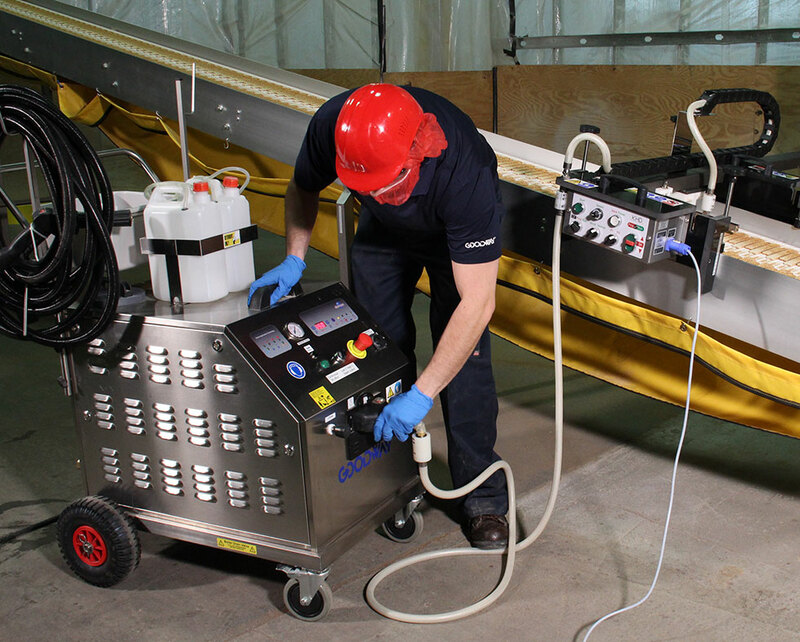 The unit comes equipped with hoses and vapor-steam gun and attachments, as well as two chemical tanks for cleaner injection. 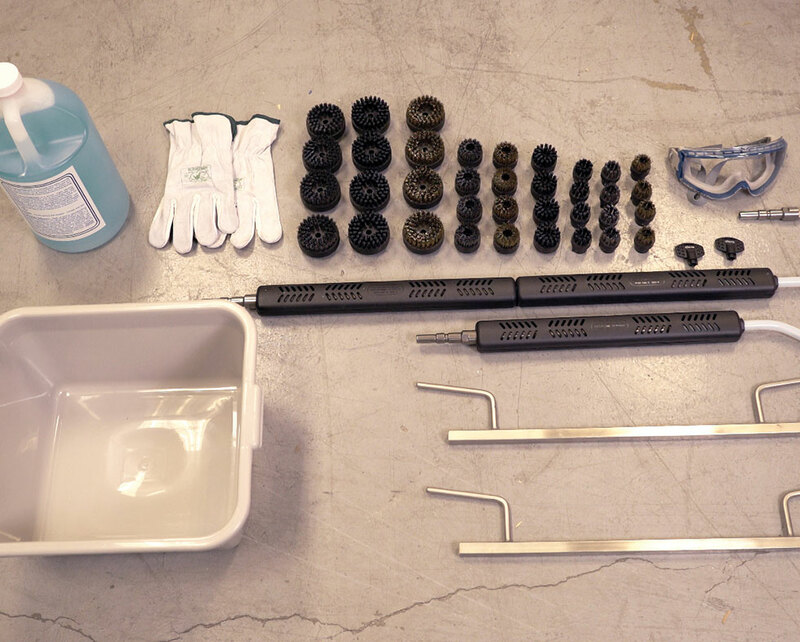 Works great alone or with our portable or fixed conveyor belt cleaning systems. Simultaneous vacuum option available for advanced cleaning. Heavy-Duty Dry Steam Cleaner with two boilers, 480 V, 60 Hz AC, three phase, 33' hose with pistol grip, two soap containers and 1-gallon bottle of high temp cleaner. Complete accessory kit including: One 20" wand, one 40" wand, four 2-1/4" circular nylon brushes, four 2-1/4" circular brass brushes, four 2-1/4" circular stainless steel brushes, four 1-1/2" circular nylon brushes, four 1-1/2" circular brass brushes, four 1-1/2" circular stainless steel brushes, four 1" circular nylon scrubbing brushes, four 1" circular brass scrubbing brushes, four 1" circular stainless steel scrubbing brushes, one pair high temp gloves, one close range nozzle, one accessory bin, two side panel keys and safety glasses.